The DC Blog The Source has just announced that writer James Robinson and artist Mark Bagley will be the new ongoing creative team on the Justice League of America monthly book starting in October. That’s freakin’ awesome! You may have heard that writer Dwayne McDuffie was recently fired from Justice League of America. Also, you may be aware that James Robinson is writing the upcoming mini-series, Justice League: Cry for Justice. Well, these two dove-tailed quite nicely into each other. I was sad to hear that McDuffie was off the book, but Robinson is definitely an acceptable trade. And Bagley is one of the best artists around! If this is half as good as Robinson’s Starman, then it will be phenomenal! 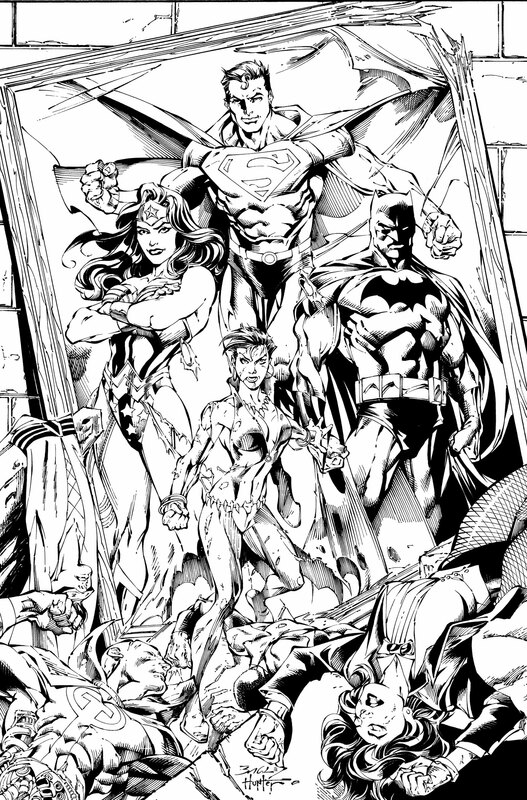 Here is one of Bagley’s upcoming covers for JLA. My only concern is… Where’s Firestorm!?!?! Personally, I am disappointed that things didn’t work out better with McDuffie. I thought he had a lot of potential to do great things with the Justice League. This is going to sound really terrible, and I don’t mean it to sound terrible, but here goes — hopefully this means that DC can let him work on the Milestone characters and bring them back to prominence. I’d really dig seeing a new Icon or Hardware series on the racks. Anyway, Robinson and Bagley sounds like a good fit on the League to me!